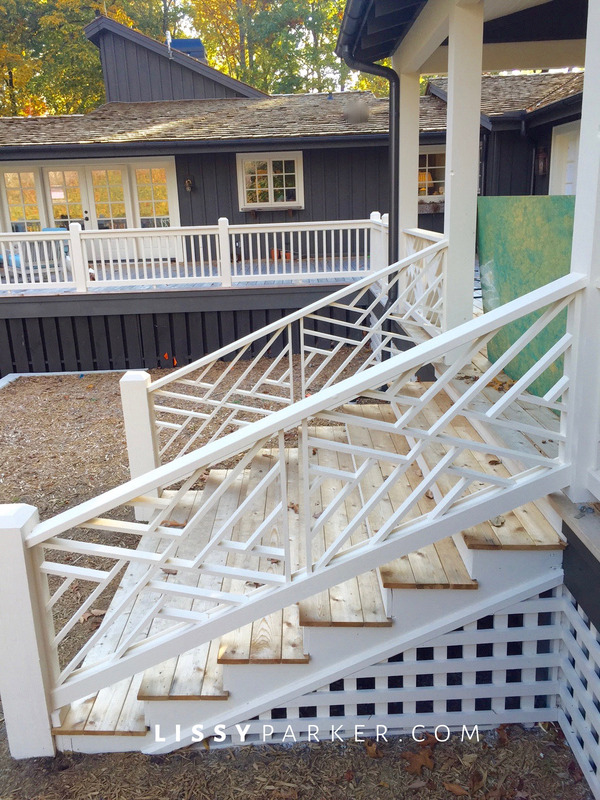 Chinese Chippendale rail and stairs are my favorite..
almost finished with the new office, garage and entertaining addition to the house—well, not really. For those of you who are serial renovators like me, you understand. There will always be one more plant for the garden, or one more chair that is perfect for the office, or one more grill or smoker Mr. P needs for his new grilling area. Building a home is not just about the building, it is about creating a lifestyle that will make your everyday life a joy. It is about having a place where friends and family can gather to have fun, get away and relax. It’s about being ready for house guests or a party at the drop of a hat! The pressures of the job, school or just the city are left behind for a while and that Ahhhhh feeling takes over. We all crave that special place and people who seem to have those skills to help us relax and rewind. I hope our new place will provide that for people—and if the number of guests we have already had, during construction, is an indicator I think we have achieved our goal. Take a look around your home and see what you can add or delete to make your home ‘that’ place that people love to visit. And remember—who cares if your sweetie made a mess, the sheets are in the wash, your entry is torn to pieces or your furniture is stacked to the ceiling or out to be recovered—just go for it! Remember you are creating a lifestyle not the perfect house. You never know, this could be the best weekend of your entire life! Janie and Gracie check out the new play area. The new pantry cabinets are almost finished. The office closet doors have been installed. ‘Mr. P’s’ fully opening window is ready at his grill kitchen—bar counter to follow. The floors have been left natural white oak sealed with a clear finish. The rustic porch is ready for football and fun—and an antler chandelier. Inside, four new sets of French doors have been installed. The doors for the screened porch have been painted. I am considering this wall paper for the entry, laundry or pantry—or all of them. We will have a new garden and grassy area on the side of the house where the dead trees were removed. The new entry garden is taking shape. And Janie thinks the new red maples look splendid for Fall! Your home should be in a magazine! Thinking Southern Living or Garden & Gun! Holly, You are too kind.Thank you for all of your inspiration! Lissy that porch area is going to be fantastic!! The Antler Chandelier will be the icing on the cake! Thank you Cindy! It is moving slow right now.